When manufacturing biogas, manufacturers aim for the maximum possible methane content, as methane is the combustible fraction of biogas. The composition of biogas, however, can differ significantly because biogas is acquired through anaerobic digestion from substrates that have variable properties by their very nature. Potential substrates include organically polluted waste water and biological waste as well as renewable biomass. The methane yield can be maximized via the proper use of substrates. A quick, low-cost technique of establishing the biochemical methane potential is one tool that manufacturers can employ to operate the biogas plant efficiently. Complex substrate compounds (carbohydrates, fats and protein compounds) are hydrolyzed into their «building blocks» using enzymes isolated from bacteria. During the acidification stage, fermentative bacteria digest the «building blocks» from step 1 and break them down into alcohols, hydrogen, organic acids and CO2. Acetogenic bacteria convert the alcohols and organic acids into acetic acid, hydrogen and CO2. Methanogenic bacteria metabolize the hydrogen, acetic acid, and CO2 into methane under anaerobic conditions. How Much Methane can be Generated from My Substrate? Efficient methane development requires both the accurate conditions in the biogas digester as well as appropriate substrates. So as to decide which substrates enter the digester in which ratio, manufacturers can employ the biochemical methane potential (BMP). The BMP suggests the amount of methane in milliliters which results from the anaerobic digestion of one gram of volatile solids. How much this is depends on the composition of the substrate, as the proteins, carbohydrates, fiber sources and so on are each transformed to certain quantities of methane. The lignin content, on the other hand, has a negative influence on methane production: the BMP reduces as the concentration of this biopolymer increases because lignin itself as well as the tannin polymers resulting from it are toxic for methane bacteria2. The classic method of determining the biochemical methane potential includes biogas digestion on a small scale: Substrate samples are injected with anaerobic bacteria and incubated at approximately 35 to 37 °C for a duration of 25 to 50 days, until no more gas is discharged. The amount of gas and its methane content are measured so as to establish the volume of methane produced per gram of volatile solids. The BMP is a significant indicator for the efficiency of methane creation from a given substrate, but measuring the BMP biochemically is not suitable for process optimization due to the long measurement time period of 30 days on average and the high costs. In the effort to obtain results faster, mathematical modeling of the BMP has produced some success. For this purpose, the composition of the substrates, i.e. their protein, carbohydrate and fat content, total carbon, and so on – have been examined and correlated with the biochemically established BMP. The resulting mathematical models make it possible to estimate the BMP if the composition of the substrate is identified; however, the process of determining the essential parameters takes a lot of time and brings about additional costs3. 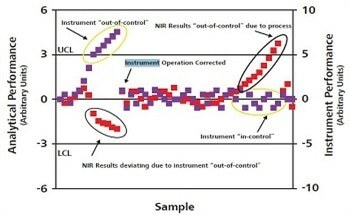 Near-infrared spectroscopy (NIRS) does not measure individual sample components, but rather records comprehensive information about the analyzed sample. 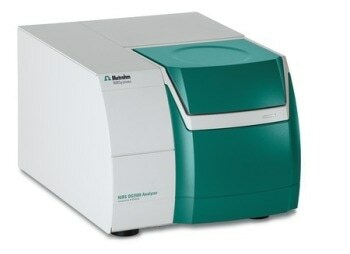 To define the relationship between the spectra and the BMP, the BMP of the samples in a set is established biochemically and connected with the sample spectra. This results in a prediction model. After effective validation on an extra set of samples, this model can be used for BMP prediction. The main benefit of near-infrared spectroscopic determination is that the measurement can be done within a minute and requires no reagents. There is an abundance of literature explaining prediction models for NIR spectroscopic prediction of the biochemical methane potential of various substrates, such as grasses4, maize5 and municipal waste6. However, these models are not suitable in cases where a mixture of substrates is being used. To evaluate the co-digestion of a mixture using the BMP requires a model that covers a variety of substrates. Currently, this kind of model exists as a form of Flash BMP®. Flash BMP® was created by Ondalys, a company which focuses in data analysis and is a spin-off of Iowa State University and the French National Research Institute of Science and Technology for Environment and Agriculture (IRSTEA). More than 500 different substrates form the foundation for the prediction model, including agricultural and green waste, liquid manure, meat waste, energy crops and sewage sludge. The results of the cross-validation can be viewed in Figure 1. 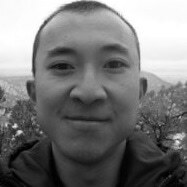 The model achieves a reproducibility that is comparable to the biochemical process. Figure 1. Cross-validation shows that the values predicted with NIRS and Flash BMP® match up with the biochemically determined reference values. VS stands for volatile solids. The substrates in biogas production differ significantly. Owing to the Flash BMP®; however, it is possible to apply a single prediction model to establish the biochemical methane potential by means of near-infrared spectroscopy. 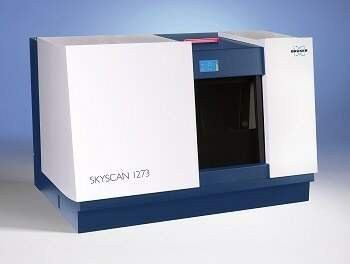 Together, Metrohm and Ondalys offer a complete package for very fast BMP determination. 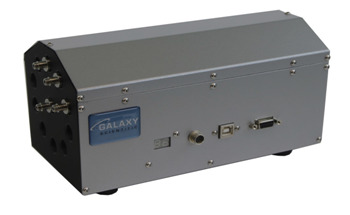 The simplest version comprises of the ready-for-use prediction model Flash BMP® from Ondalys, the NIRS DS2500 Analyzer and its operating software Vision Air. With this system, the biochemical methane potential is predicted cost-effectively, rapidly, and – above all – easily. 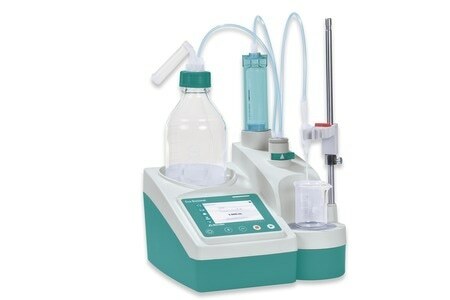 No reagents or chemicals are needed for the determination, and the system delivers the results at the touch of a button. Figure 2. 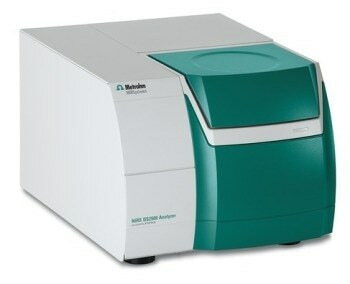 The biochemical methane potential can be predicted at the touch of a button using the NIRS DS2500 Analyzer and the Flash BMP® prediction model, which is ready for immediate use. 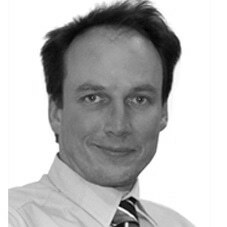 What was your motivation to develop a calibration model for BMP analysis by NIR spectroscopy? New biogas plants are constantly built all over the world. Most of them run on co-digestion mixes. BMP measurements are needed in order to make the most of the inhomogeneous substrates, but the wet-chemical approach is costly and time-consuming. To solve this problem, a number of private and public research institutes started looking for a novel test. They decided that NIR was the perfect technique. 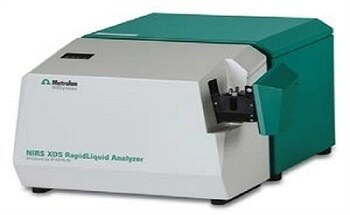 What makes NIR spectroscopy the ideal technique for BMP determination? NIR spectroscopy helps in determining the BMP in one fast measurement while being as accurate as the wet-chemical method. The simple measuring procedure cuts laboratory burden drastically and decreases analysis time from 30 days to a flash (hence the name FlashBMP®). The method is nondestructive and fast and can thus scan a much more representative sample of these heterogeneous substrates. Biogas has been a subject of controversy because energy crops compete with food crops for resources and land. How can these concerns be overcome? In some countries, there are biogas plants that generate methane solely from energy crops. In other countries, for example, France, biogas plants are fed with waste from several sources. This should be the standard all over the world. By the way, the use of waste as a substrate increases the need for BMP testing in order to optimize the plant energy yield and also to avoid any major anaerobic process breakdowns. 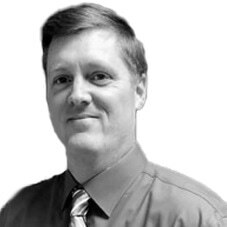 No plant director wants to deal with a six-month production restart period.